Another dead Black man … another murderer walks free. The name has changed this time from Travon to Michael. But the story is still the same. Reading through the testimony of Darren Wilson, a few things stood out to me. the last point in particular especially… Wilson said, and I quote, ” IT was like a demon” in reference to how he saw Mike Brown and why he had to put him down like a dog. It is psychologically manipulative and a powerful imagery that could alone sway a prejudiced christian idealist mind. It immediately puts Wilson in the place of “saviour”…. touche’ mr. white man. 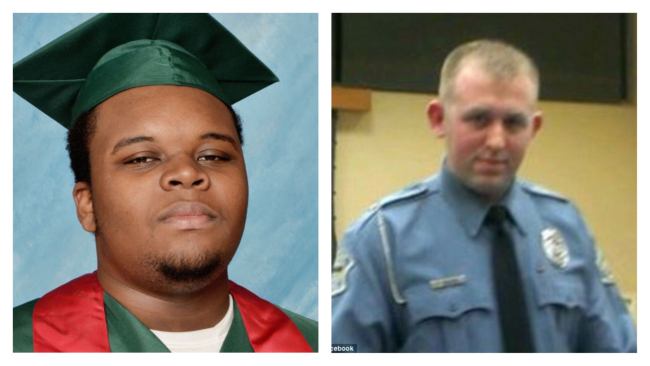 Click here to read Wilson’s testimony of why he murdered Michael Brown. Thanks for sharing the info, touche’ indeed. Get your darn facts straight – – the “it” refers to Mr. Brown’s FACE, not the person – – in the very next sentence, when the officer refers to Mr. Brown himself, the officer says, “HE looked very angry”. Piss poor journalism is one reason we are in this mess ! !